On this episode, the gang celebrates peace, love, togetherness, nihilism, and edgelord nonsense. In this episode, we celebrate Christmas the only way we know how, by murdering Santa Claus. 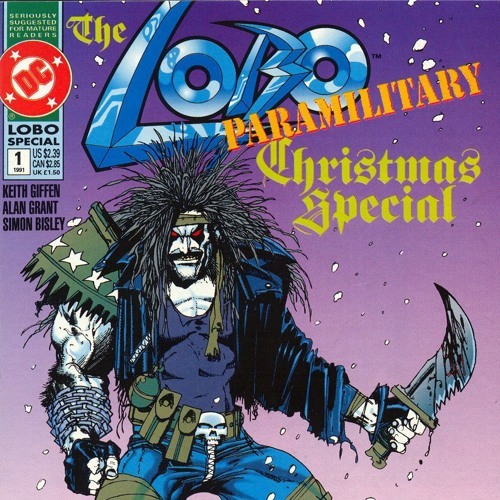 WARNING: Contains Bad Taste In The Form Of Ultra-Violence, Icon-Bashing, And “The Finger.” Think the idea of Lobo murdering Santa is weird? Wait till you see the movie adaptation! Sly really relates to Lobo. The only thing stronger than Ryan’s hatred of Lobo is his love of bad puns. Darryl learns some new curse words. Phil gets hired as head of marketing for newgrounds’ edgy Christmas games. Ryan also gets a gift as part of the network Secret Santa!